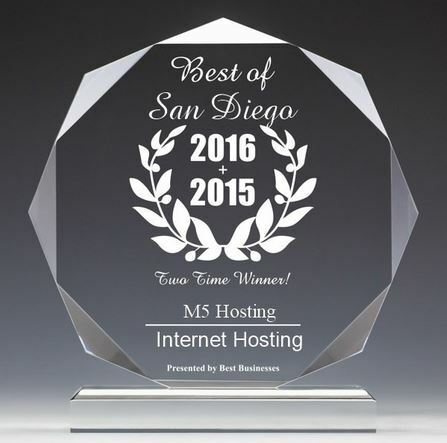 M5 hosting won the “Best of San Diego Internet Hosting Award” two years in a row, 2016 and 2015. This award is for excellence in marketing and customer service. The 2016 Best Businesses Winners were determined based on information gathered by Best Businesses and data provided by third parties. The Best Businesses of San Diego Award Program was established to recognize the best of local businesses in the San Diego community.